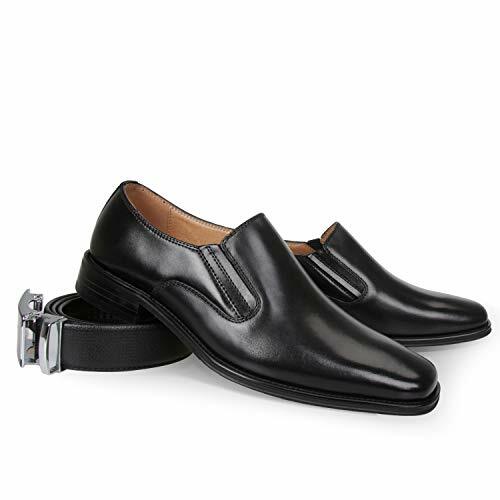 This slip on loafer is made with superior cow leather upper, the burnished gloss makes you stand out in a crowd. 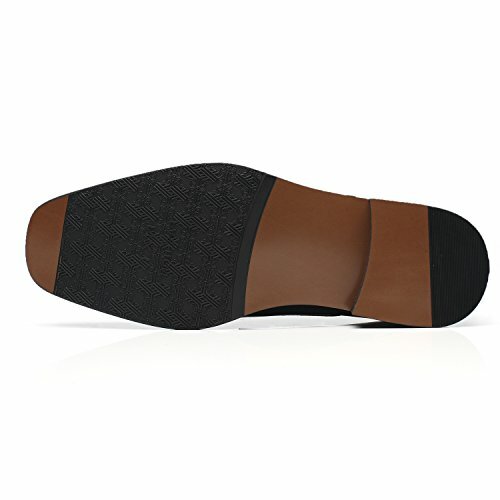 It features a synthetic lining which offers good breathability to prevent odor for wearing a long time, slip on design for easy on and off. 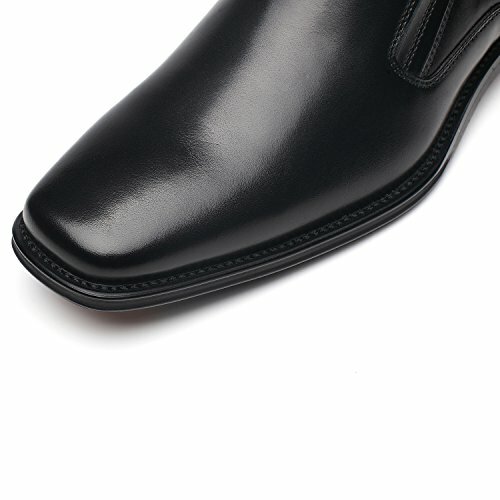 This classic dress shoe is perfect for office, work, parties or any other formal business events. PREMIUM LEATHER UPPER - This slip on loafer is made with superior cow leather upper. The burnished gloss makes you stand out in a crowd. 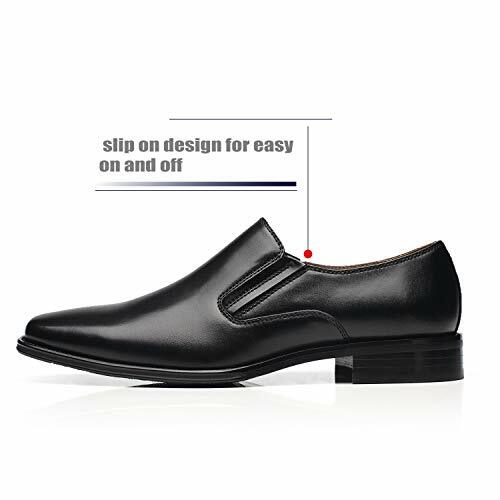 COMFORTABLE - This stylish and comfort dress shoe features a synthetic lining which offers good breathability to prevent odor for wearing a long time. EASY TO WEAR - Slip on design is for easy on and off. 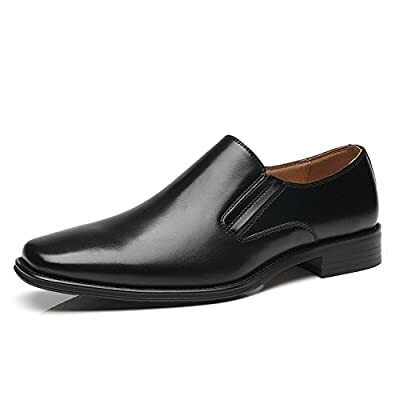 DURABLE - This men's loafer is made with a flexible and durable outsole. 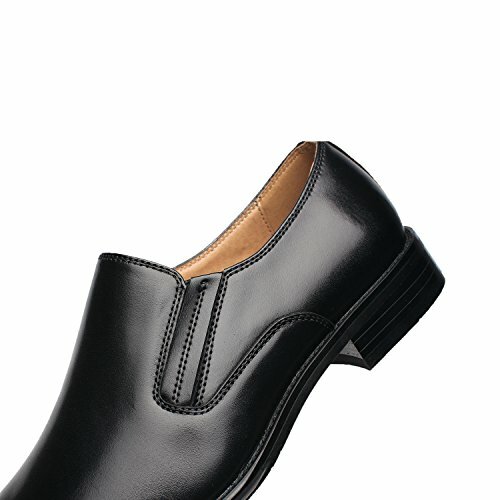 VERSATILE - This classic dress shoe is perfect for office, work, parties or any other formal business events.